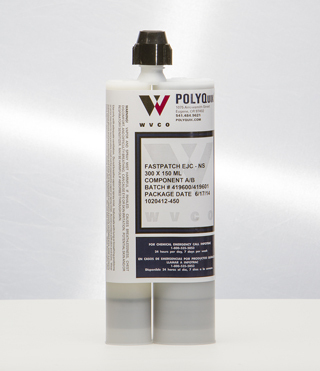 FASTPATCH EJC Joint Sealant product line for expansion joint repair is a unique hybrid polyurea that passes the testing needed for highways, bridges and airports that no other product of its kind can achieve. EJC-25, EJC-NS, EJC-50 and EJC-100 have the durability to hold up to joint expansion and contraction, and daily abuse of road traffic. Even under extreme weather conditions they retain the high performance characteristics needed for years to come. View the Coverage Estimator Chart. Dear PavePatch, I just wanted to let you know that I reciev ..